Album Review: Mike Shinoda - Post Traumatic - GENRE IS DEAD! This definition of the psychological concept of “Catharsis” (as defined by Europe’s first rock star Aristotle) perfectly describes Mike Shinoda’s new solo album Post Traumatic. As the title suggests, the record’s central theme is Shinoda’s very personal post traumatic experience after the tragic death of his bandmate, Linkin Park’s lead singer, Chester Bennington. The 16 tracks on the record describe Shinoda’s journey from a place of utter despair to the beginning of a new chapter in his life. It makes sense that Post Traumatic is the first release under Mike Shinoda’s own name after recording as Fort Minor for over a decade. Post Traumatic describes an act of extreme personal growth. A rebirth. 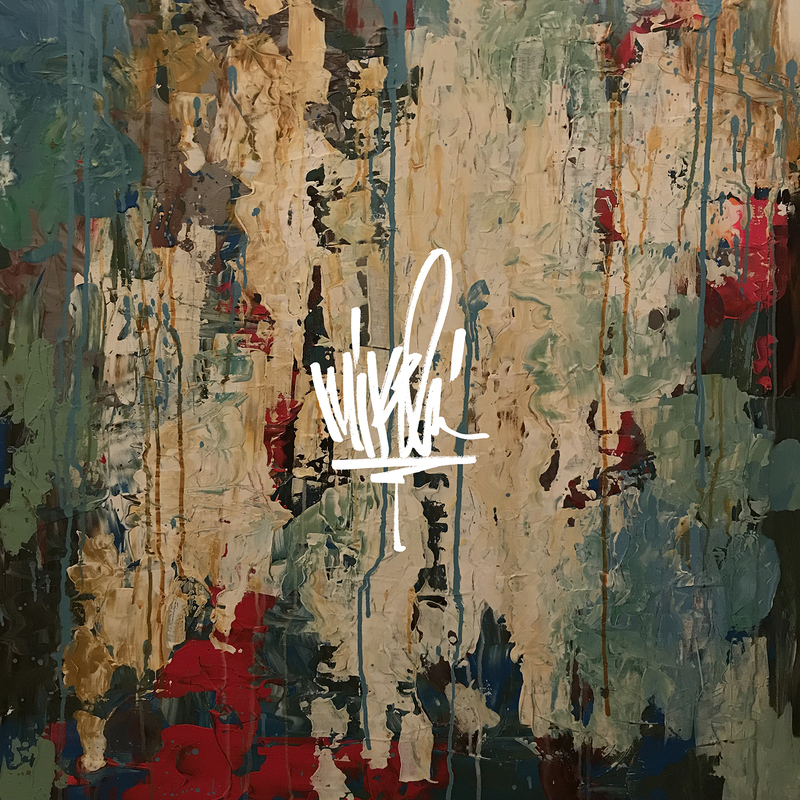 The album’s first track is fittingly called “Place To Start.” In the lyrics of the song, Shinoda asks “Did somebody else define me?/ Can I put the past behind me?” – an indication of the inner emotional turmoil. But fast forward, a day before the release of Post Traumatic, Mike has answered these questions himself. The melancholic track is a great opener to the record. It gives the listener the chance to emotionally prepare for this journey. “Place To Start” is followed by the tracks “Over Again” and “Watching As I Fall,” two songs that channel the anger Shinoda has felt during the aftermath of Bennington’s death. The lyrics are very straight-forward, so it gives the listener a good impression of how hard it can be to pick up the pieces after a tragedy. All three songs were already released on the Post Traumatic EP on January 25th. “When a loved one passes away, many people, myself included, describe the feeling as ‘being lost at sea.’ There’s a feeling of lack of direction and lack of control. After the first four tracks all related to Chester Bennington’s passing, Mike Shinoda almost breaks down the fourth wall with the next tune “About You.” In it, he sings about the fear that no matter which songs he’s going to release in the future, they will automatically be interpreted as creative outlets to deal with the death of his bandmate. If the listener actually listens to the lyrics, it will cause him to realize that this song is the beginning of a new chapter and they have to adapt their approach of the next tracks accordingly. The song is a radio-friendly hip-hop number featuring the great vocals of blackbear. The following half of Post Traumatic has a more diverse sound to it. The variety in style demonstrates Shinoda’s talent and affinity to all genres of music. While the first half of the album is incredibly precious due to its emotional content, it’s the second half that intrigues me more. The lyrics are still raw and show emotional depth, but the music is more hopeful, almost inviting to see the world from a different, better, angle now. It shows what we can expect from the artist “Mike Shinoda” in the future and especially what he has to offer. I think many of the songs will surprise the audience. “Ghosts” is an infectious danceable and uplifting tune. Its video was released last week and features the funny characters “Boris” and “Miss Oatmeal,” a statement to show that it’s important to laugh again after the months of grief. I made a sock puppet video because it took me months to feel like I deserved to have fun. So I celebrated it, and I have no regrets. I wanted to make you guys smile. You deserve to smile. You deserve to have fun. You deserve to live. “Ghosts” is followed by two incredibly strong tracks which feature some great artists. “Make It Up As I Go” features guest vocals by Illinois singer and songwriter K.Flay. Her voice has a very unique sound to it. It’s somewhat gritty and rough, which immediately captured my attention. Its beat is again very danceable and radio friendly. I can see myself dancing to this on a warm summer night with a big glass of Caipirinha. “Lift Off,” featuring Chino Moreno and Machine Gun Kelly, starts with a precious melody played on the piano, but then Shinoda starts rapping and the melody is joined by a beat. The way his vocals enter the song causes an amazing clash of styles. The combination of the piano and the rough rap parts makes the song’s sound so interesting. It’s reminiscent of Jay-Z’s “Empire State Of Mind” and we all know how that one ended. While “IOU” isn’t very accessible, it’s quite refreshing because of this very reason. All in all, Post Traumatic, is strikingly radio friendly, so a little roughness feels good. The album continues with two absolute bangers. “Running From My Shadow” featuring Grandson is definitely one of the top tracks on it. Grandson’s verse is the special ingredient, giving the track some more spice. The song is followed by “World’s On Fire”, an atmospheric track directed at the person who gives Shinoda the support he needs to go on when the rest of his world comes crashing down. The music sadly lacks the strength of the song’s message, but with all the great tunes on Post Traumatic this doesn’t really matter at all. The album is a journey and I really hope that all the kids out there listen to it front to back at least once. You just have to experience it in full to really get to the depth of it. Unfortunately, the album has one weakness: its sheer length. Many of the songs deal with heavy personal topics which is amazing, but listening to all 16 tracks is very draining. Maybe though that is exactly what Shinoda wanted. Grief is not easy. Grief is a long process and even though the record ends on a hopeful note, Shinoda’s journey is far from over. It would almost feel wrong to get a perfectly assembled 12-track album. Go out, buy the record, listen to it with your friends or alone on your headphones. But listen to it and go through all the emotions. It’s exhausting but also the best feeling ever. Mike Shinoda’s Post Traumatic is released on Friday, June 15th via Warner Bros. Music. Pingback:Mike Shinoda Releases New Video with K-Flay - GENRE IS DEAD! Pingback:Mike Shinoda Brings 'Post Traumatic' Back To Europe - GENRE IS DEAD!